Fantastic results from the new MAXDOUT mapping on the new ST Mk8. 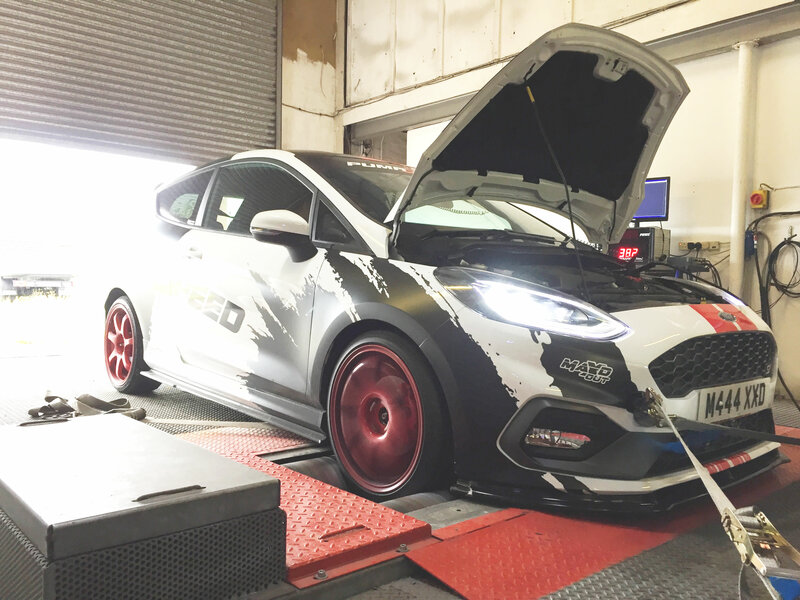 Pumaspeed have 3 Mk8 Fiesta Demo cars, 1.0T, 1.5T and a very bespoke race inspired 1.6T X47R power Track car. 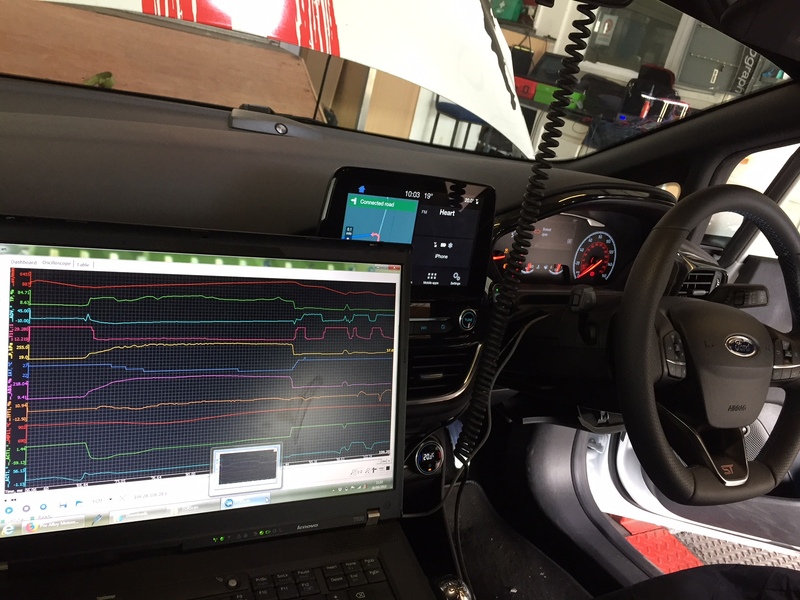 The pride of the Mk8 Fleet is the new 1.5T and very eager to lift power saw us read the Stock MG1 version ECU with the very popular MAXDOUT Software back in June or July 2018, so we were very quickly able to get to work of writing some testing maps for the car. The MG1 version ECU was finally write enabled on the August 22nd 2018 so we have been testing and logging maps on the three firmware versions since then with some briliant results as the Main YouTube Video of the new Stage 1 Plus map below shows. 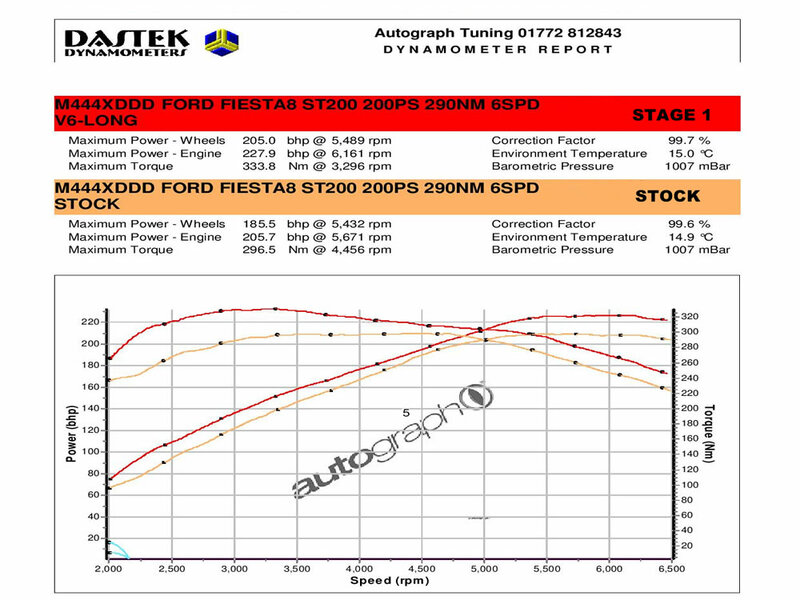 A Stock Power run with an air filter and Scorpion GPF Back Exhaust showed a healthy 205-208bhp spread with an average around 206 of the 6 back to back Dyno runs performed. 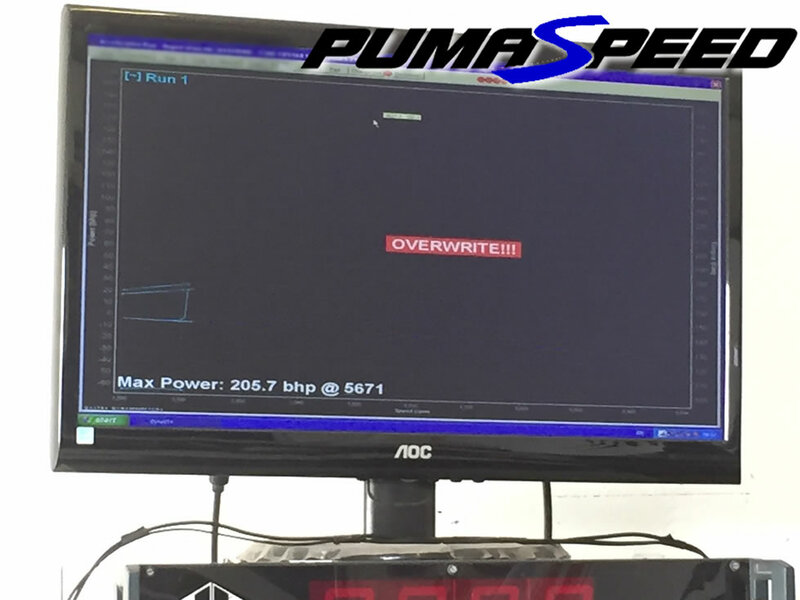 After testing Pumaspeed can now deliver SAFE and fully tested for 3000 miles worth of dyno and road miles.